The moment ABC broadcaster Brent Musburger exclaimed that the 1998 Toms River (N.J.) East American Little League were World Series champions, the lives of a group of kids and coaches from the Jersey shore changed forever. The team became instant celebrities. They were on the field at Yankee Stadium. Chris Cardone, who went 2-for-2 in the Championship Game, was a guest on the Late Show with David Letterman. The white, toy gorilla they kept in their dugout became their calling card, leading to their nickname, “The Beast of the East.” And, the winning pitcher from that Championship Game, Todd Frazier, became, perhaps, the most recognizable person from the Jersey Shore outside of Bruce Springsteen. 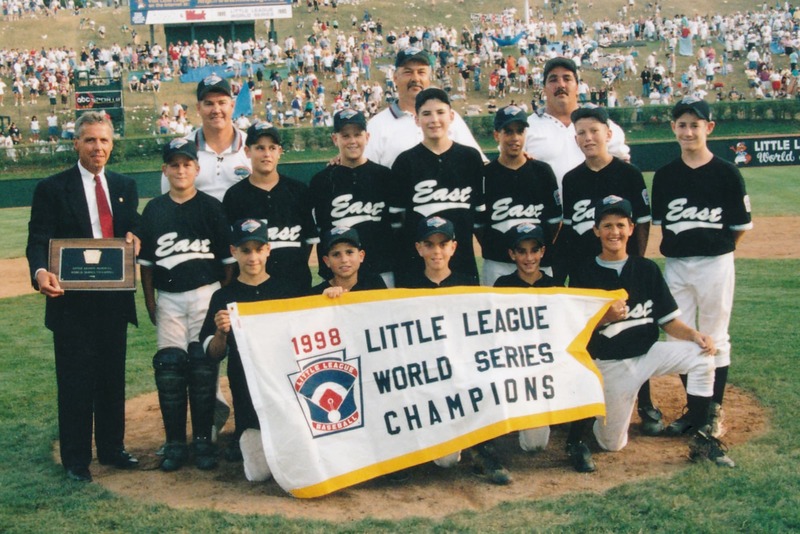 As the Toms River team celebrates the 20th Anniversary of their World Series Championship, the team will reunite at Howard J. Lamade Stadium on Sunday, August 19. Not only will they get to relive their glory days, but they’ll get to see their former teammate, Mr. Frazier and his New York Mets take on the Philadelphia Phillies in the second MLB Little League Classic, presented by GEICO.